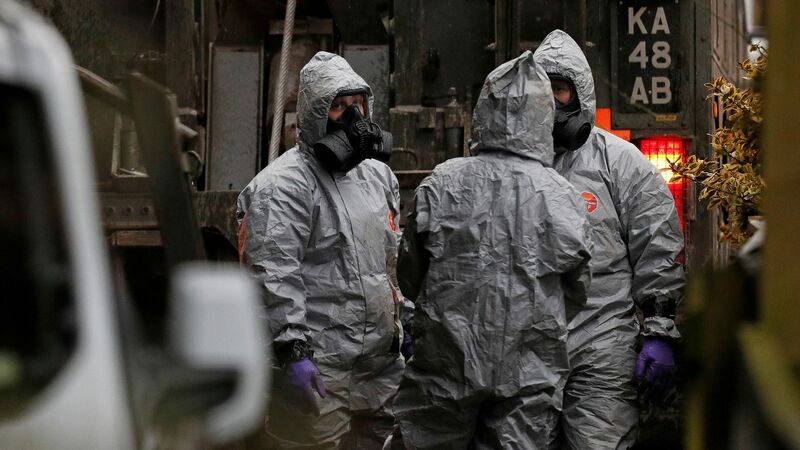 The United Kingdom has called for an urgent meeting of the United Nations Security Council this afternoon to discuss the use of a Russian-manufactured nerve agent against ex- spy Sergei Skripal and his daughter on British soil, per the BBC. And, during a speech to the House of Commons later this morning, Prime Minister Theresa May is expected to announce a "significant" expulsion of Russian diplomats, according to Sky News. The big picture: After May declared it "highly likely" that Russia was behind the attack during a speech on Monday, she gave the Kremlin a deadline of midnight last night to provide an appropriate response. Russia — at least publicly — continued to deny its involvement in the attack via a series of incendiary social media posts, prompting today's response from the U.K. Also today, all 29 NATO countries have asked Russia to answer the U.K.'s questions in a joint statement, per AFP's Danny Kemp.